a few years ago my dad started painting. as an urban designer he’s always had a pencil in his hand, but he never had the time to flex his creative muscles outside of work. 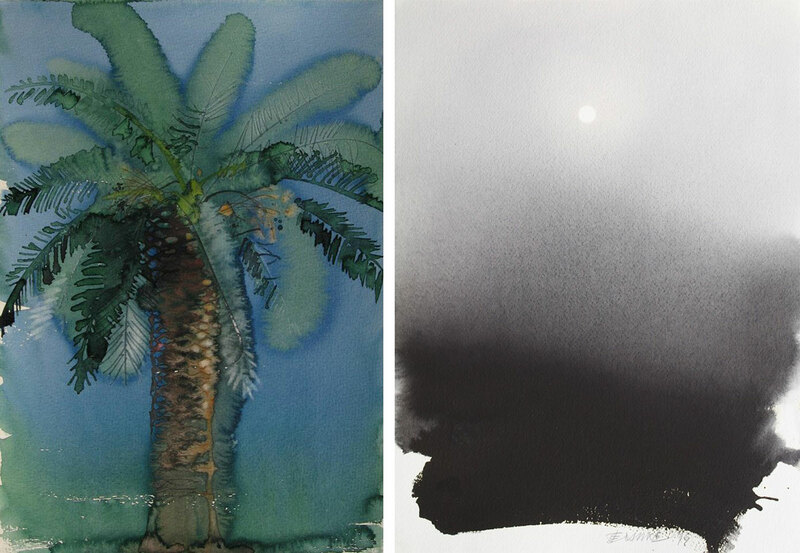 he began experimenting with various mediums, and quickly settled on watercolour painting. i warned him that it was a tough medium – it might look deceptively easy when you see the finished product but actually getting there is, well, an art. there’s no real room for error, unlike oil painting where you can layer and even remove paint if you’ve made a mistake. but my dad took the challenge head on, and he’s getting better and better with each painting and every mistake. that’s why i admire watercolourists so much, especially those who manage to create a striking piece with just a few masterful brush strokes. it probably takes years of dedication and practise to get to the point where you can easily manipulate that finicky combination of water and paint. 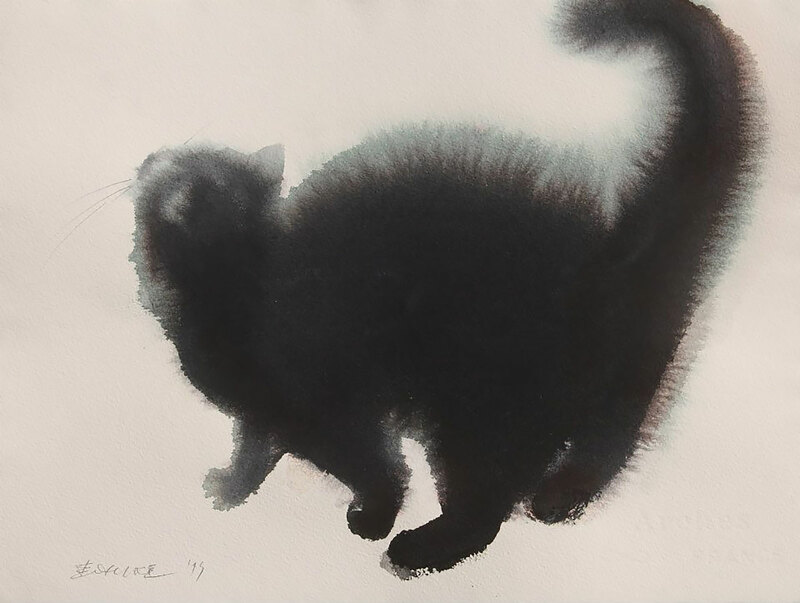 the watercolour paintings of Serbian artist Endre Penovác caught my eye for this exact reason – especially his awesome paintings of cats (which he does in both watercolour and ink). his repertoire is obviously not just limited to felines, Penovác also works in other mediums and explores a variety of subject matters. you can see more of his work on his Facebook page and website. When I first started reading this I thought these were going to be your dad’s paintings and was crazy impressed haha! Maybe show us his sometime when/if he’s ever comfortable? I love seeing people pick up art later on in life and discovering talents they never knew they had!!!! I love these cat watercolors!! It is difficult to paint with watercolor; I still make the mistake of laying it on too thick sometimes. Oh those cats are delightful!! I like doing art myself, but maybe if I didn’t have so little faith in myself I could get somewhere with it. I always doubt and criticism my old art!!! These are so pretty, maybe I’ll be this good some day, or maybe not. Eh, whatever. . .
I’ve come back to this post for the last three days to gawk. Absolutely cannot get enough of the feathering of the cats’ fur. Such beautiful images, thank you for finding and posting them! You have discovered my cat, Tazz. She is in every beautiful brush stroke. Are any of the originals for sale? Is there a price list? Or possibly signed prints? Interested in the ink and watercolor black cats. Captures my daughters cat perfectly.